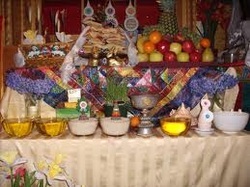 Past Events - The Tibetan Community of Australia (Victoria) Inc. Welcome Office of Representative Mr Lhakpa Tsoko at Tara Institute. President pledged to accept them all and notify service providers. New arrivals to be flown in by the end of September in two groups. Executive Members Meeting with Service providers AMES and New Hope Foundation in Footscray & Noble Park. · New arrivals arranged to be serviced by AMES Noble Park. · All necessary arrangements such as reception, housing, medical. Dental and banking was dome for the newly arrived families. Delegation of Member of Parliaments sand Speaker Mr Penpa Tsering arrived in Victoria. - Speaker appeared on ABC radio National interview which was broadcasted live with Walid Ali. Tibetan Community of Australia (VIC) Inc joined Honk Kong Student Protest organised by Vietnamese Community to show solidarity along with Chinese Democratic Party at the Victorian Parliament. · Brisbane G20 protest trip was attended by Tibetan community members and the trip was hugely successful in terms of media and interest generated on Social Media worldwide. · Tencho la is a renowned activists of her own right and met with community members while she was in town for “women with Wisdom” tour. · Community took part in Australia Day Parade with other community of Victoria. · Community members took part in “Life Saving Victoria” day of training for water safety. · Tibetan New Year Losar Party was held at Collingwood Townhall and the event was very successful with large turn up. 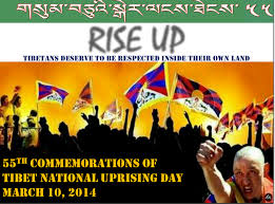 The uprising day was huge success with Tibet.net report and yet again Social Media reporting was rampant. Tibetan community protested at the State Library in Melbourne. Tibetan community members took on board the importance of having community centre. Members pledged to donate on instalments and the funds gathered $66,000 (Sixty Six Thousand Dollars) towards Tibetan Community Centre. H.H. Dalai Birthday was celebrated at St. Kilda Town Hall with great turn up of members. Members pledged to donate by instalments on this day the total pledge was $76, 500. 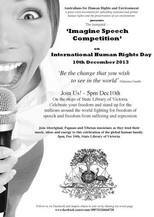 The celebration was also highlighted by an Aboriginal singer who donated a guitar which was autographed by H.H. Dalai Lama. The donor requested the community to raise funds with the guitar to generate money towards Tibetan Community Centre Project. Tibetan community was able to get “In Kind” donation from New Hope Foundation to use Grattan Community Centre for Tibetan school as well as community gathering for three days a month for free for the year 2015 and 2016. The donation is estimated to be value of $6864. Tibetan Community received $3000 towards Tibetan Festival. Money to be spent for a Festival and “Accountability Report” to be sent back to VMC accordingly once the money has been spent for a Festival. 3pm 4.30pm Tibetan Community gathering for the Update of ATC events and July 6th event management. world today in the unique festivities. Please click below for the full three days program and agenda. Geshe Lhakdor, the Director of the Library of Tibetan Works and Archives, will address the Melbourne Tibetan Community on “Benefits of Buddhism in everyday life and how to sustain Tibetan national identity”. Afternoon tea and snacks provided. Wishing you and family a good health and very happy and properous LOSAR of the Wood-Horse year of 2141. Please bring lunch to share with others. Emabssy and then a march to the Parliament House to hear speeches from politicians and Tibet Supporters. If you intend to go please contact Sandup or T Lobsang ASAP. If you are not going please consider making a donation. The Tibetan Community of Melbourne will take part in the Australia Day People's March through the Swanston street to celebrate the Australia Day and thank Australia for giving us freedom and opportunity. Come & celebrate the End of 2013 with the Community .. Whether you have got a driving license or not, we recommend all to attend this workshop and anticipate those applying for the grant money to attend. “Introduction to the Traditional Tibetan Music and Dance: Theory and Practice” – By our own talented Dhoekar Genla Tenzin Yeshi. Please come along to awaken the Tibetan spirit inside you. The Victorian Multicultural Commission has granted us some fund towards SAFE DRIVING, please come to Lhakar to find out more about if you are eligible for receiving money. Illuminate Tibet – A Silent Protest Against the Chinese Occupation of Tibet as organised by a group of RMIT students. A Facebook page https://www.facebook.com/IlluminateTibet to promote the event has been created. Please could you promote this link to anyone you know who would be interested to get as many people to 'like' the page as possible? Festival of Tibet in Melbourne to mark 2013 as the year of Solidarity with Tibet and to celebrate 78th Birthday of His Holiness The Dalai Lama hosted by Victorian Tibetan Community at Fitzroy Town Hall July 6th and 7th 2013. WE are only days away now for Melbourne's first Festival of Tibet. The Tibetan community of Victoria welcome you with open arms to step into there world and culture for the weekend. Pre booking would be so greatly appreciated and essential as we will be catering for a potential luncheon capacity of 300 people. Truly a unique and wonderful weekend of Music, Cuisine, Buddhist and Himalayan Culture, Humanity and community awaits you. By the Renowned Tibetan Physician and personal doctor to His Holiness Dalai Lama Dr Tsewang Tamdin. The Lecture will be focusing on the roles of Diet and Lifestyle, which are the fundamental causes of much disease but are also the best path forward to healing. Tickets for Public Lecture are $20 Bookings can be made with Karen on 0400 688 599 or Sandup on 9576 7792, and will also be on sale at the door. These will be up to half hour duration and the cost is $50. Booking will be confirmed on receipt of payment. All proceeds from these events will be donated to the Tibetan Medical & Astrological Institute to further the development and education of Tibetan medicine. Important Community Meeting & Collect your pass to the Tibetan Community Audience of His Holiness The Dalai Lama. 54th Tibetan National Uprising Day since Tibetans rose up against the Chinese government's illegal occupation of their country. Please join with the Melbourne Tibetans, Tibet Supporters and Friends to commemorate this landmark event that changed the Tibet's history forever. Tibetans still remain in high spirit and determination to restore Freedom - since 2009, 107 Tibetans have self-immolated in Tibet calling for the return of His Holiness The Dalai Lama and Freedom in Tibet. Wishing you and family a very warm LOSAR Tashi Delek for the year of Water Snake 2140. In accordance with the press release by Katri Dr Lobsang Sengay’s, we will not celebrate Losar with usual festivities but will hold a prayer and customary service. Given the drastic situation inside Tibet, we will use half an hour to update on our forthcoming activities and to make some important announcements. 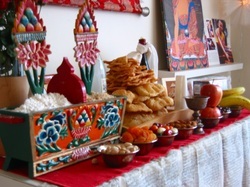 Please bring your favorite Losar lunch to share with others. 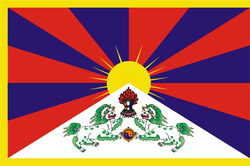 On 10 December 2012 Tibetans and Tibet supporters around the world will stand in solidarity with Tibetan in Tibet to highlight China’s ongoing merciless and violent crackdown throughout Tibet. 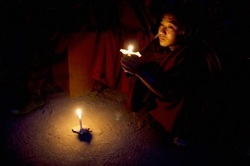 78 Tibetans self immolated in Tibet since 2009 and out of which 16 taken place in this month. This is absolutely a sad shocking news, we cannot just sit and do nothing! Please join for the rally this Saturday. Please join the Tibetan Community in a special prayer service for the 55 self immolated Tibetans and all the freedom fighters who have sacrificed their precious life for the freedom of Tibet. Please bring along your own Tsog/offering. Flinder St. Tibet Info Desk. Torch will be intermittently carried around Melbourne city by the Melbourne Tibetan Community members and Australian Tibet Supporters.